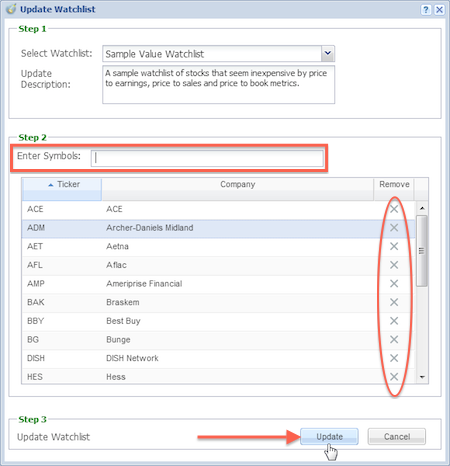 To update a watchlist, right-click on it in the Navigation Panel and select ‘Update,’ which will bring up the Watchlist manager. Here you can change the name, add a description, and add tickers to the watchlist. To add tickers, enter either the ticker symbol or company name in the Search Box and select the appropriate ticker from the auto-fill suggestion menu. 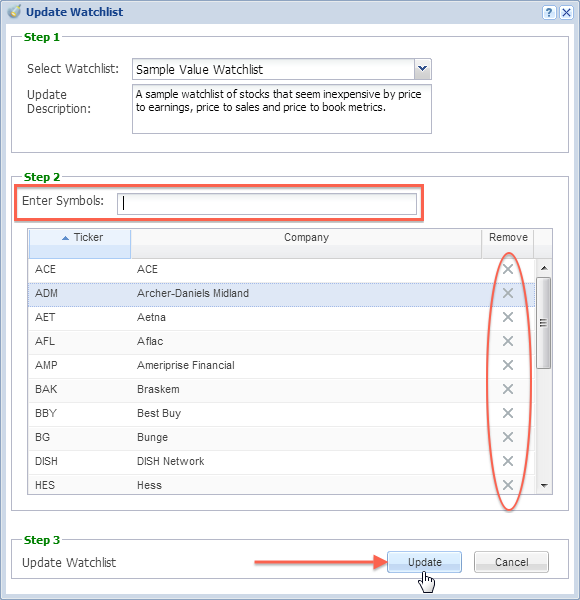 To remove tickers from the watchlist, click the ‘X’ under the ‘Remove’ column which will instantly remove it from the list. Click ‘Update’ to save the changes. 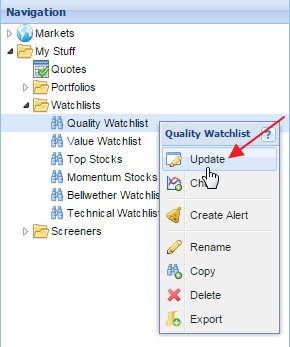 If you’ve accidentally removed a stock from the watchlist, you can click ‘Cancel’ which will close the manager without saving the changes.